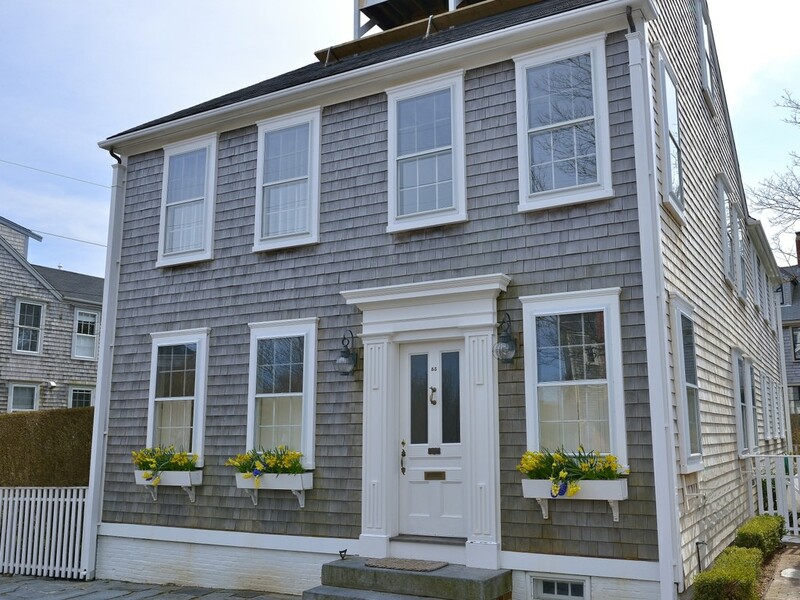 Welcome to our collection of shingle-style homes. Shingle style homes are popular in some pockets of the USA. 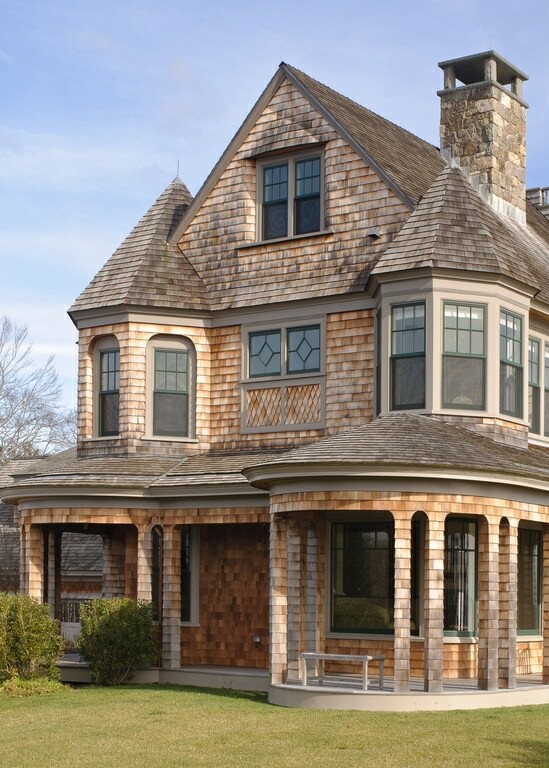 The shingle exterior can be applied to many design styles. For example, above is a Victorian style home (source) with a shingle exterior. 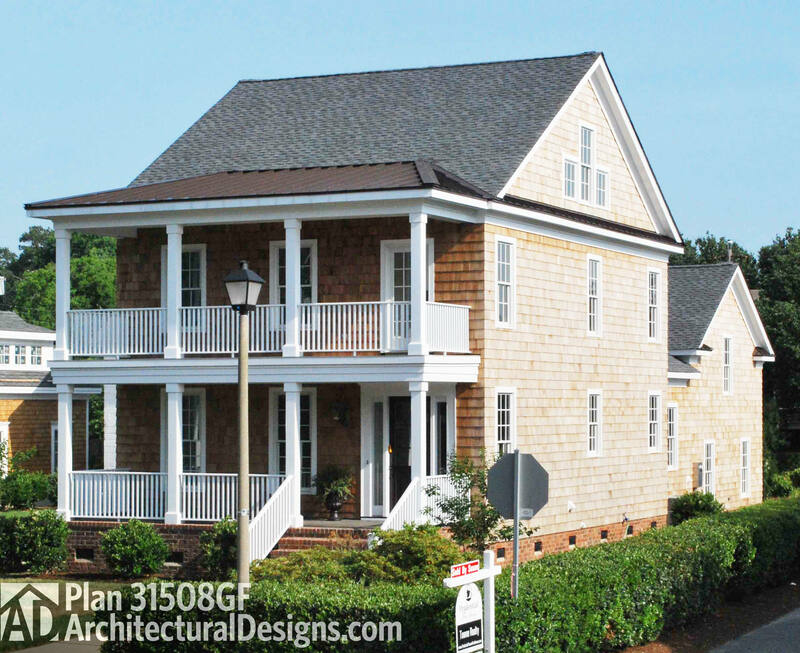 Shingle style homes were designed to resemble the colonial homes shingled exterior and size. 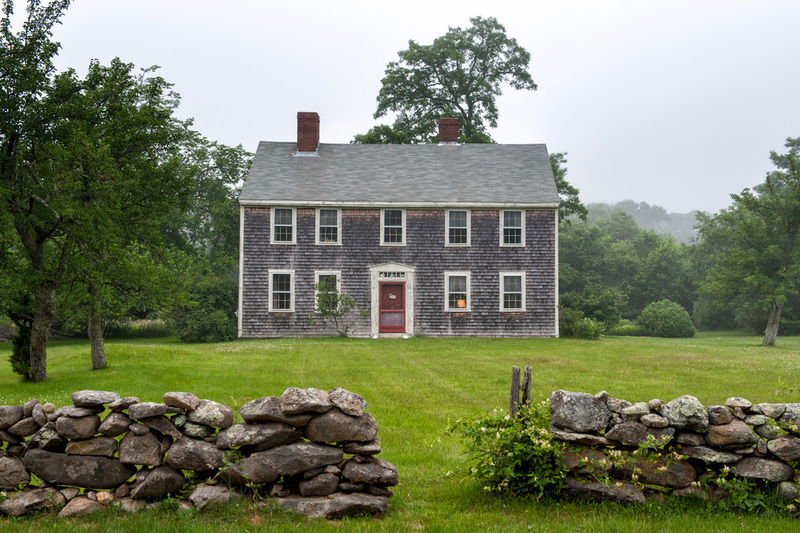 There are various styles of shingled homes, some simple in design and others, more complex. You’ll find hip, gable, gambrel and shed roofs on most shingle-style homes. In some instances, the design elements are combined. 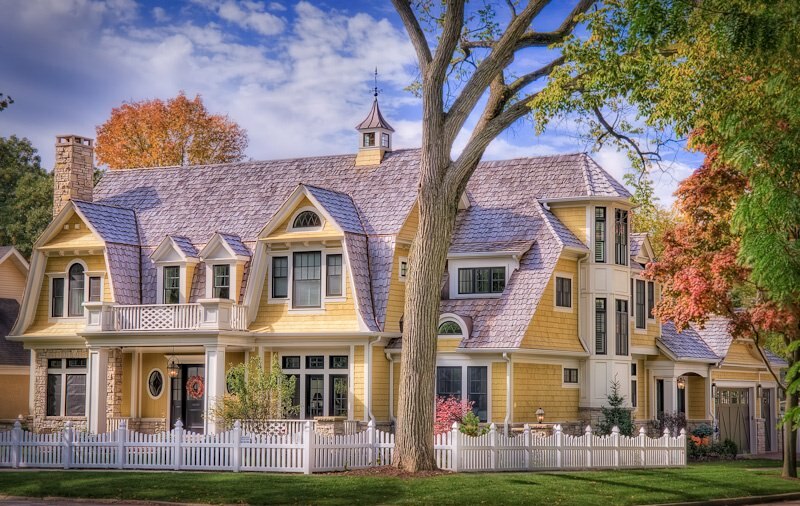 In order to achieve a more prominent mass, some of the shingle style homes are made with a single roof. This style home was made popular by firms, such as, Mead and White, Peabody and Stearns and McKim. They were often commissioned by the wealthy to design seaside cottages made from shingles. There are different types of shakes. In North America they generally will use the California Redwood, Atlantic White Cedar and Western Red Cedar. Shakes are split while other types of shingles are not; they are sawn. Depending on the country, you will also notice that they come in different sizes. With any type of home design there are advantages and disadvantages. Lets first start with the advantages of having a shingle home built. You will find that most are very simple. They are not ornate in nature and lack the level of design elements that you will see with a Victorian style home. They are designed with functionality in mind. They are uniquely designed and not overly exaggerated or elaborate. This style home also offers a great deal of design freedom. From it simple, historical design style, homeowners can choose from large windows that allow a lot of light to shine through to wrap-around porches or simple little nooks. The disadvantage would be that the wood, without regular treatment; can begin to fall apart or crumble. Most of the homes made of shake or cedar shingles will maintain their look for up to 25 years, at best. This means that the upkeep of this type of home can be rather extensive. Mold and mildew can also build up and cause homeowners problems. Despite the disadvantages, some homeowners still feel it is worth the risk. 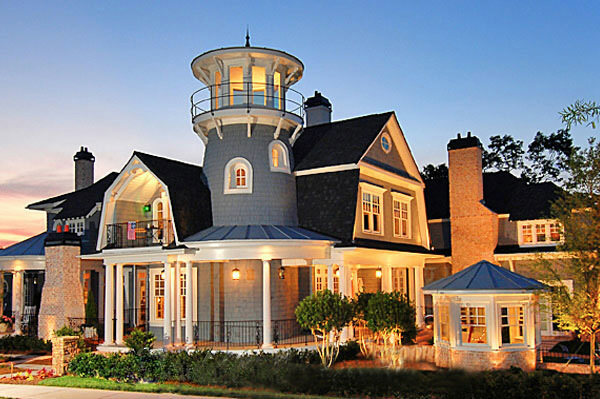 They have a large variety of shingle style homes to choose from today, as noted below. 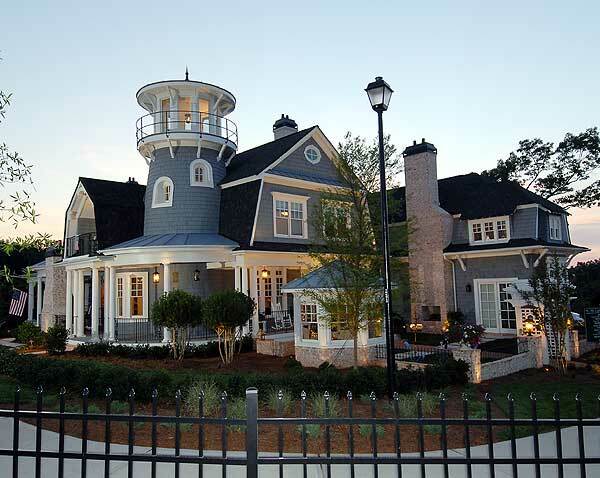 As if this house didn’t already have enough interesting details, it also has a beautiful lighthouse feature on top. This home is designed with a lovely wrap-around porch, perfect for an evening or afternoon of lounging outdoors. This is a country style shingled home, with a light exterior. It looks warm and inviting. 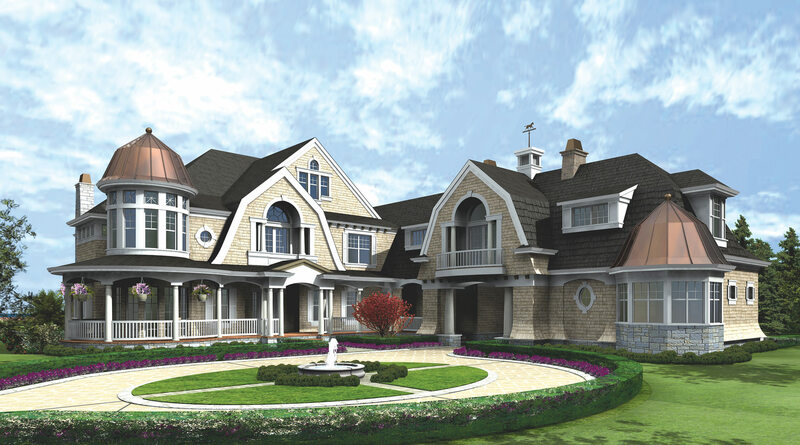 Here you have more of a traditional shingle style home, beautiful yet simple and pristine. With a home this lovely, it is important that you maintain curb appeal by keeping the landscaping just as beautiful as the home itself. 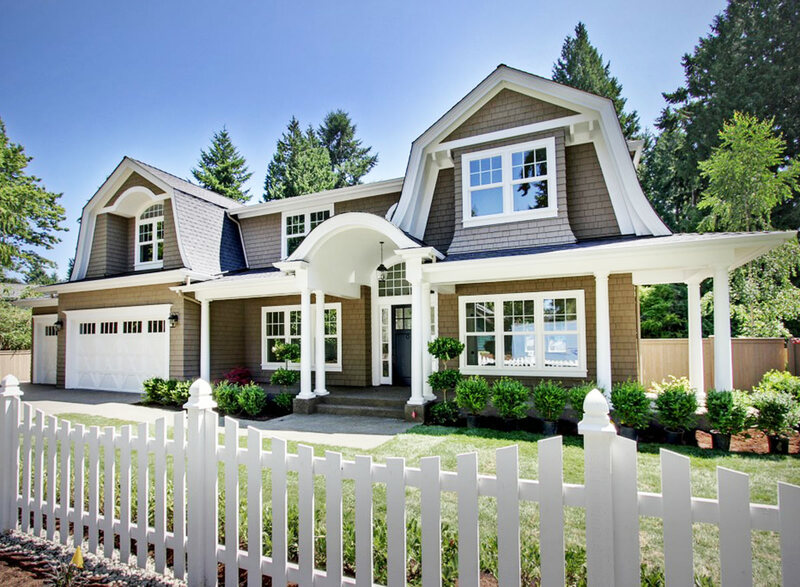 This is the home that one only dreams of owning, with its white picket fence. The white accent around the homes exterior makes it stand out. 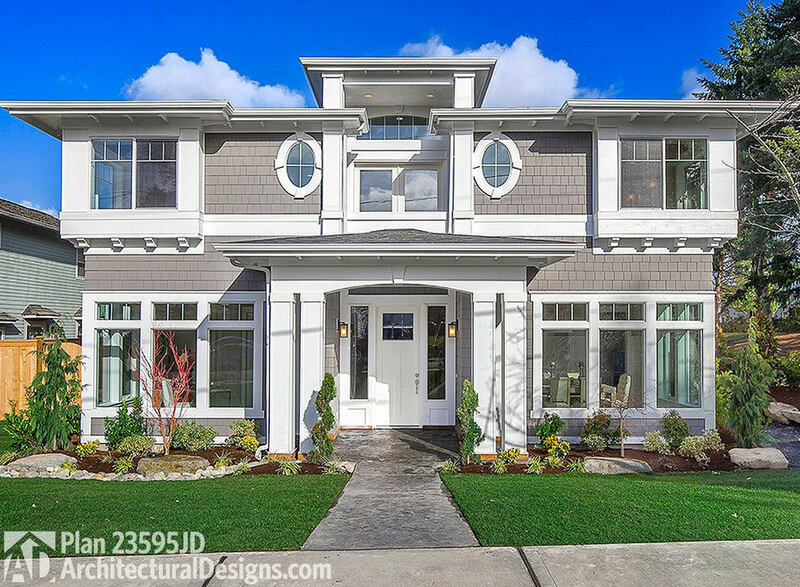 The circular driveway and wrap around porch give this home an elegant yet charming appeal. It has a lot of interesting design elements to talk about, including its metal roofing. It isn’t everyday that you see a roof design like this flat roof with a peak in the center. I just bet there is lot of granite and chrome fixtures in this home. 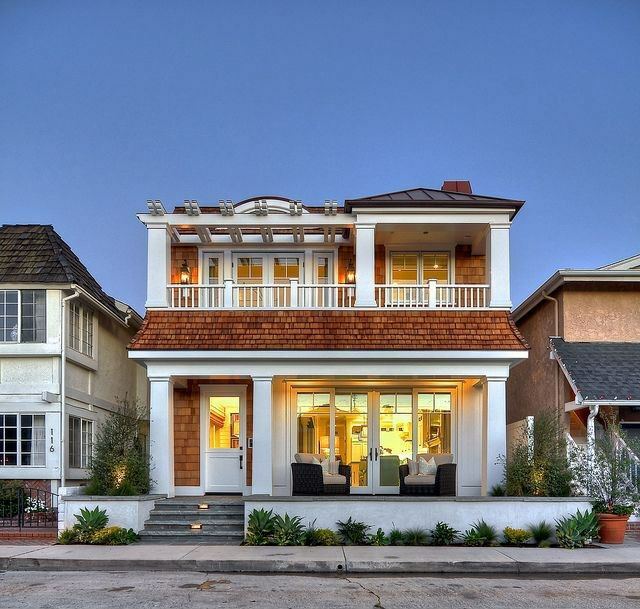 This coastal home gives you the advantage of seeing far in the distance with its second story balcony. I also couldn’t help but notice the length of this home. It looks like it is rather large inside. This home says luxury. However, it still gives an air of comfort and traditional home style living. My eyes are immediately drawn to the roof design of this cottage. How could they not be? Have you ever seen a roof like this! 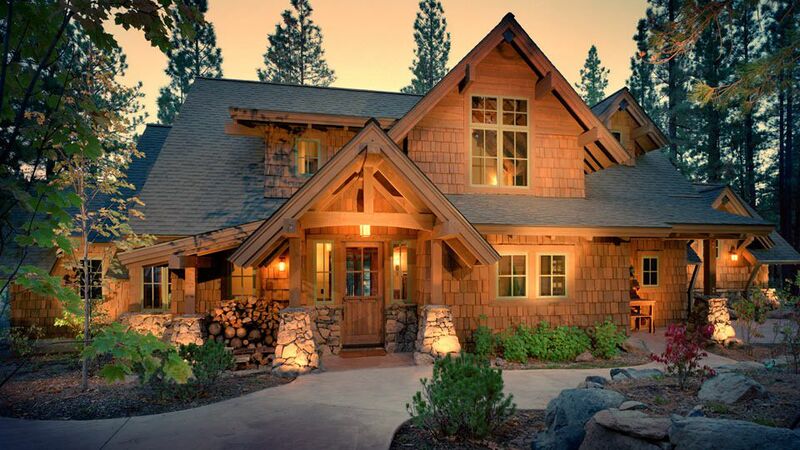 This rustic shingle home gives me a feeling of warmth and comfort with its cabin like exterior. This home is a mix of architectural detail from its roof to the brick chimney. It looks like a home from a classic movie. I love the amount of windows this home has. It allows quite a bit of sunlight to illuminate through the home. 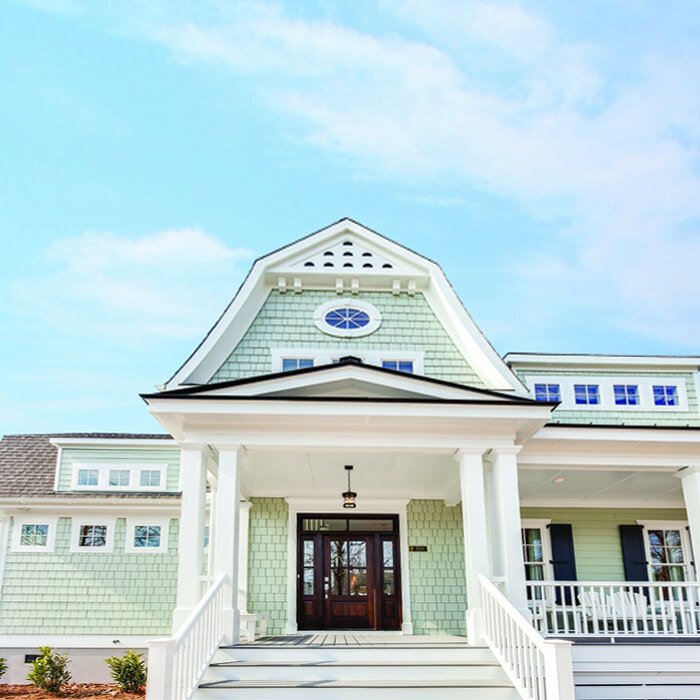 The first thing that comes to mind when I look at this traditional shingle home is how charming it looks with its white picket fence and modern farmhouse facade. Look at that porch! This is a great example of bringing the indoors, outdoors. The porch looks like an extension of the living room space inside. I love the sheer composition of this homes design. Every inch of this cottage looks perfectly aligned. This looks like an old classic home design that has been updated with modern yet classic features to appeal to todays market. This is a home that you could seriously get lost in. 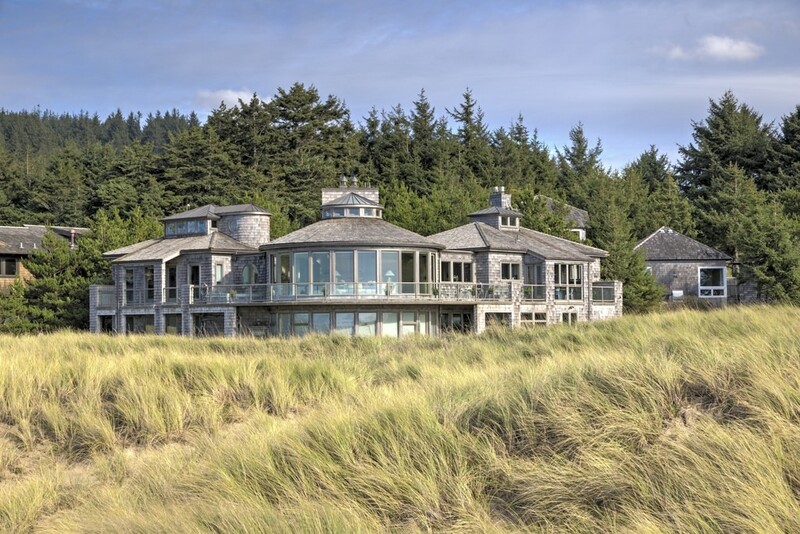 Not just because of the marshy grass just out-front but also because of the sheer size of this oceanfront home. This is a home that would be ideal for entertaining friends and family. This homes simplicity peaks my interest and makes me want to peer inside to see just how homey it actually is. I love the splash of color with its red door.